Given sufficient notice, we can accept requests for particular pieces of music you would like played at certain times during the event. At others, we will provide relaxing piano music to set the scene. 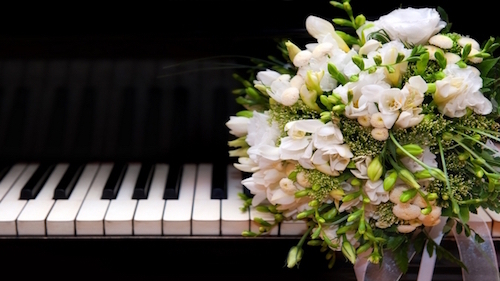 If there is no piano at the wedding venue, do not worry, we are self-contained and will bring all our own instruments. If you are planning that special day, we would be glad to discuss details with you. Contact Us.